The above info came from VongolaX, and was edited by yours truly (contact me). Born on August 26, Ryohei is an extreme fighter who you may say is "obsessed" with boxing. He is the older brother of Kyoko Sasagawa. He is always looking out for her in everything she does. Ryohei is the leader of the Namimori Boxing Club. One time he saw Tsuna in Dying Will Mode, and he was running fast. Ryohei saw him and wanted him to join the Boxing Club because of how Tsuna ran "extremely". He is the Vongola's Sun Guardian with the yellow dying will flame. His box weapon "Canguro del Sereno" (or "Kangaryu") which resembles a "Kangaroo". He debuted in chapter 14 of the manga and episode 1 of the anime. In the fight against Varia, his opponent was Lussuria. In that match there were lights on the ceiling that only blinded Ryohei due to the fact that Lussuria was wearing sunglasses already, so he wasn't affected. Before long Ryohei found a way to break the lights and defeat Lussuria. Over all, Ryohei is a overly energetic member of the Namimori middle Boxing Club who always is ready for action and excitement. He is always protecting his friends in family from whatever tries to harm them. He is ready to stand by Tsuna's side as the Vongola guardian of the sun. He may not be to smart, but when it comes to fighting he gets an A+! The above description came from VongolaX, and was edited by yours truly (contact me). Ryohei is the Captain of the boxing club at Namimori Middle School as well as the Sun Guardian. He is very passionate about boxing and is constantly training. 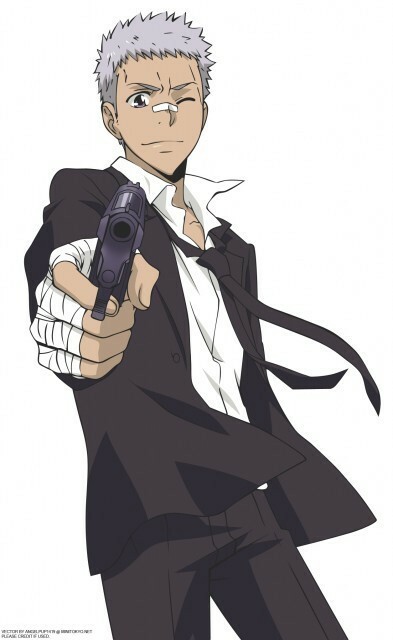 He is tough and though he doesn't fully understand the mafia situation, he still fights along side Tsuna. Willing to protect and fight for his friends. The above description came from Ashleigh Boggs, and was edited by yours truly (contact me).